Fortnite patch notes 8.11 arrived alongside the patch itself Wednesday, bringing the new Flint-Knock Pistol to the game. 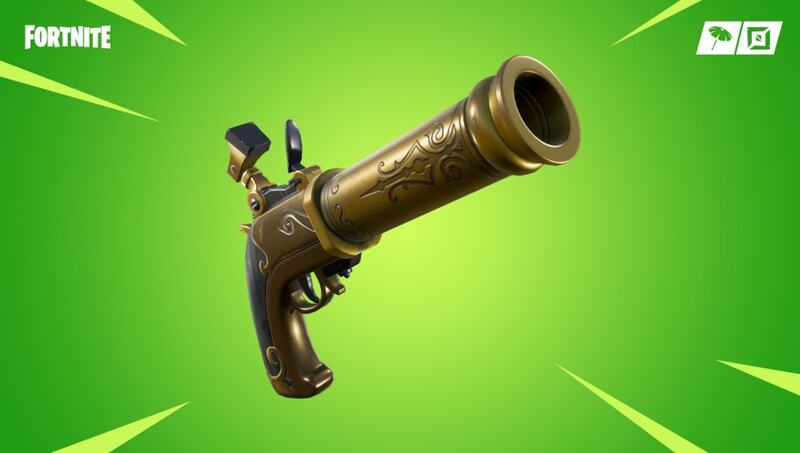 The Flint-Knock Pistol is the latest weapon to join the ​Fortnite arsenal. It is a pistol that deals significant damage at close range — 86 to 90 per shot — but suffers from major damage falloff at longer ranges. The weapon is unique in that firing it causes both its wielder and its victim to be knocked backward. The closer a player is to their target, the farther the target will be knocked away​. Players can crouch to prevent the knock back when firing. The Flint-Knock Pistol must reload after every shot, and sports a full three-second load time. It takes heavy ammo, and can be found in common and uncommon varieties exclusively as floor loot. Fortnite Patch 8.11 also brings a new Limited Time Mode and event to the game.